Every little scenario needs to be outlined so that when one milestone is achieved, a new event will be activated. A series of content is delivered through marketing automation which allows your practice to establish a rapport with potential patients and to educate them on what your practice has to offer. The best part is that this is done automatically after your strategy is implemented. Now you may still be worried about how marketing automation works and whether it will be effective to just stand back while it takes care of everything. But what you need to remember is that marketing automation lets you maintain total control. All that is required is for you to understand the demographics of your target patients and the things that keep them motivated. Between the time when a patient first comes to your practice and the time when they return, they go through different stages. You need to recognize all the patterns which a patient endures in these stages. This will help you create automated workflows in the future which will bring potential patients who are aware of our practice to a point where they are actually considering and deciding on using your services. Lets go through these 7 easy steps together and see how we can create a successful automated marketing strategy. Have you determined your priorities yet? Do you want to establish your practice in a new marketplace and get more exposure there? Perhaps you want your client base to increase so that it has a new demographic to target. Whatever your priorities are, you need to set very specific goals which are totally measurable. Let’s look at an example. Suppose you want your practice to bill 10% more patients each month over the next 6 months. If $100,000 is the total amount you currently bill each month, that would mean you need to increase your billing by $10,000 each month. If $5,000 is the cost per procedure, this means you need to perform 2 additional procedures each month to achieve this goal. Let's say for every 3 consultations you schedule one procedure, then you will need to aim for 6 consultations each month. This increase to 6 consultations per month is the minimum goal which you need to set. This information will be used as a guide for the tactics and strategies that are used for the automated marketing campaigns and workflows. 2) Who Are Your Ideal Patients? You must understand who your perfect patients are to fully take advantage of automated marketing’s true potential. For example, if you have patients who are mothers that want a makeover, you would want to attract them by considering specific characteristics like their income level, age range, and marital status. Maybe you already know what gives them an incentive to visit your practice. This particular type of prospect follows a certain decision-making process that is quite predictable. If you can understand how this prospect is motivated and influenced, content and communication can be made which will satisfy their demands, desires, challenges, and needs. A conversion path is the process of converting your unknown website visitor into a known lead. By this point, you know who your perfect patients are. You understand how they move from the stage of simple awareness to the stage of making a decision. Next, you want to develop paths to help your perfect patients get from one stage to the next. If your perfect patients are those mothers who want makeovers, you can attract them by developing 4 different levels of specific content. Content Specific to Procedure: How long does it take to do the procedure? What can be expected during the recovery phase? How will this procedure make these mothers’ lives better? How will it enhance their self-image? Content Specific to Practice: Why should patients choose us? List all the credentials of your staff and any awards or other accomplishments they have received. Include a gallery which shows before and after pictures of successful patients. Talk about the values and philosophies which are embraced by the practice you have. Content Specific to Patient: What is the price for the patient? Do they have to pay cash or are there any financing options? If there is financing, what are the specifics of those options? Can mothers who are going through this makeover be able to restore the body they had before their pregnancy? Proof Through Social Media: Post up text testimonials and video testimonials. Share content on social media and add your listing to third-party websites which review healthcare providers. Spread the word on internet consumer publications too. You need to create content that reads well and motivates people to take the next step. This could be content, such as posts on social media, posts on blogs, personalized messages through email, and content on landing pages. Also, you need to create content that can be downloaded onto their computer or mobile device. This could be content like checklists, infographics, and eBooks. Besides creating new content, you can add content with your resources that already exist. For example, take the content from your published articles, website content, blog posts and brochures, and use this content for your FAQ page, infographics, checklists, presentations, social media posts, and podcasts. This will save you extra money and time from having to rewrite the same information for them. Not only that, it keeps your information consistent so that customers can trust you more. This is the part where everything comes together. When you have one particular action which triggers a series of actions, this is known as an automated workflow. For example, if a potential customer visits your website and discovers your blog about makeovers for mothers, this could cause them to be converted into a lead instead of just a mere prospect. Perhaps they submit their contact information so that they can download a free eBook about makeovers for new mothers. Now that you have their contact information, you can communicate with them in the future. Prospects are attract to your informative contents that is shared on different social media platforms and visit your blog blog. Visitor downloads eBook and becomes a lead. The lead receives an email after 4 days which asks if they have any questions regarding the information found in the eBook. The email will contain anchor links within the content which will take them to various video testimonials of other women that have gone through the same makeover process and achieved amazing results. A second email gets sent to her 5 days after the previous one. This email contains an attachment which features makeover FAQs and answers to them. Seven more days go by and the woman receives a third email which contains the average cost of the makeover. There will be numerous financing options mentioned too. A fourth email gets sent which lets the woman know that your staff is available to speak with her if she still has questions or if she is ready to make a decision. The email will invite her to visit the blog and subscribe to it in order to continue receiving special and exclusive offers. By willing subscribing, the person is giving you their permission to receive future communication from you. Every time you send someone an email, it should have an invitation for them to schedule a free consultation with your staff. That is why all emails need to have your contact information as well as a link option for them to unsubscribe if they do not want to receive any more emails. The great thing about automated workflows is seeing them in action. After a potential customer downloads your eBook, this starts a chain of events which automatically take place. All the preparation and work that went into this will finally pay off. 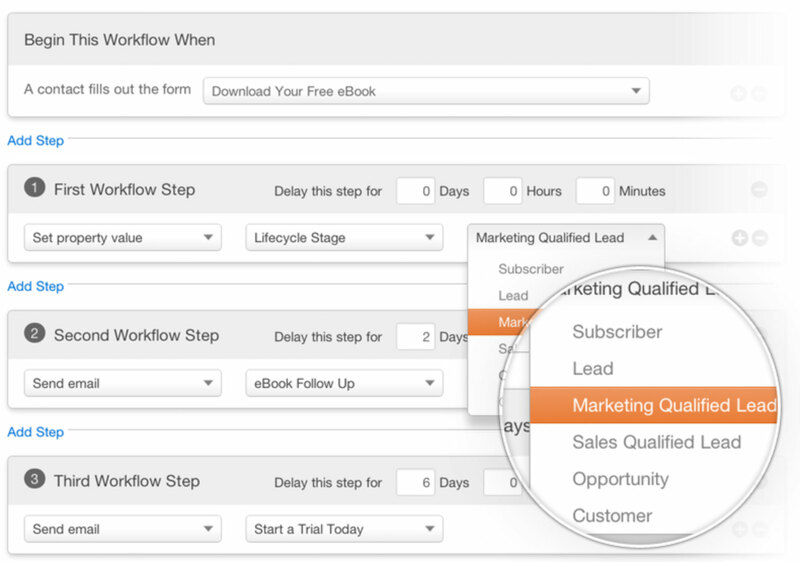 You can use workflows several hundred or thousand times to help guide prospects throughout each stage. If you use professional email marketing software, like HubSpot, it will have an inbound marketing platform which is completely integrated with all the features you will need to establish a workflow that encourages leads and shows you the results. You will see the total number of opened email messages and closed messages. You will see how many people have unsubscribed and which stage of the workflow they unsubscribed at. You will see the number of clicks that occurred on the links which you supplied and which particular type of action was performed after they clicked on it. Overall, the workflow has the ability to track all actions within it. Any time you can track an action, you can also optimize it. For example, if you see that people have deleted your messages without even reading them, then you may want to experiment with new subject lines. If you are using a generic address for your practice, then you may need to change it to the address of a recognizable person. Does your workflow have a message which makes people want to leave? If so, fix the message or replace it with a new one. It may also be a timing issue with when you send the messages too. Any change you can make to these areas will make a huge difference in how much your campaigns and workflows are effective. When one workflow teaches you something, you can apply your newfound knowledge to other workflows. This will make your effectiveness much better. 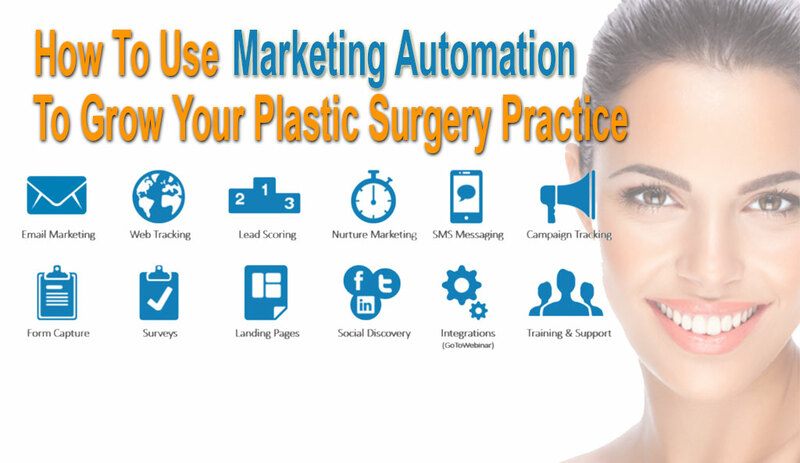 Out of all the ways to grow your plastic surgery practice, automated marketing is the most effective when implemented properly. That is why you should make Peak your partner. 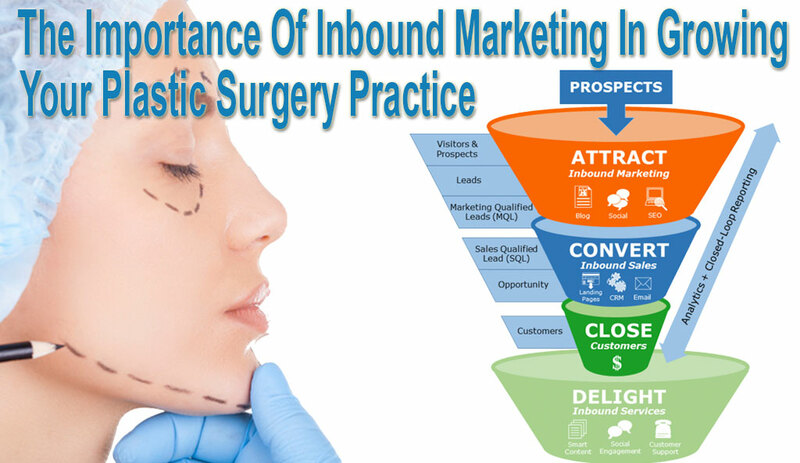 This is a digital marketing agency that is certified by HubSpot and is in the business of assisting plastic surgeons in getting more patients for their practice and increasing their ROI. 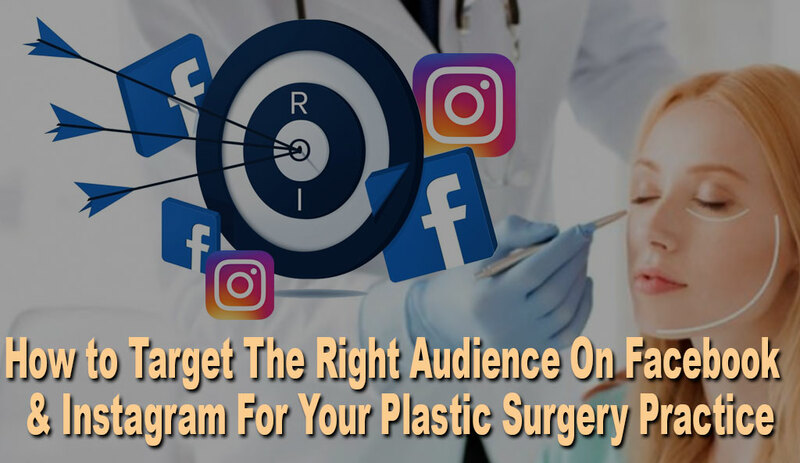 Download our free eBook which discusses the best marketing ideas and how they can assist plastic surgery practices in getting more results. Find out how your practice can grow through marketing automation by downloading a copy of this book today.